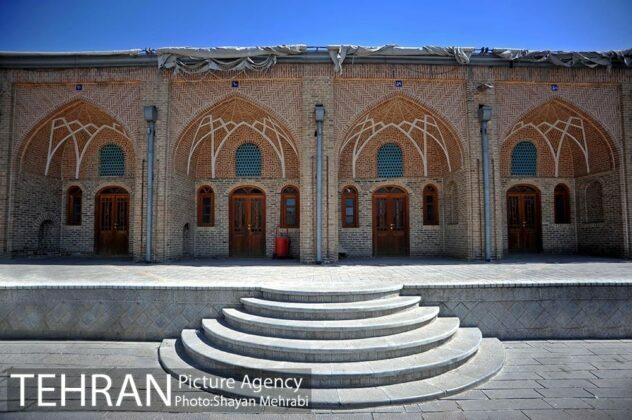 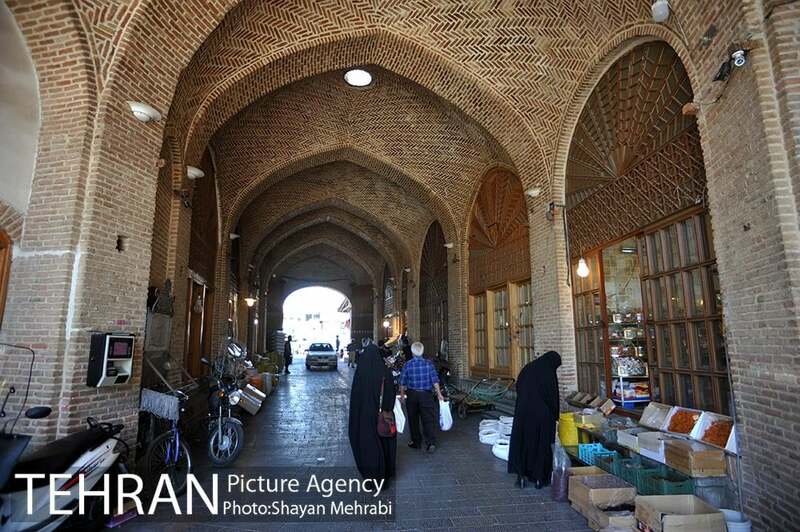 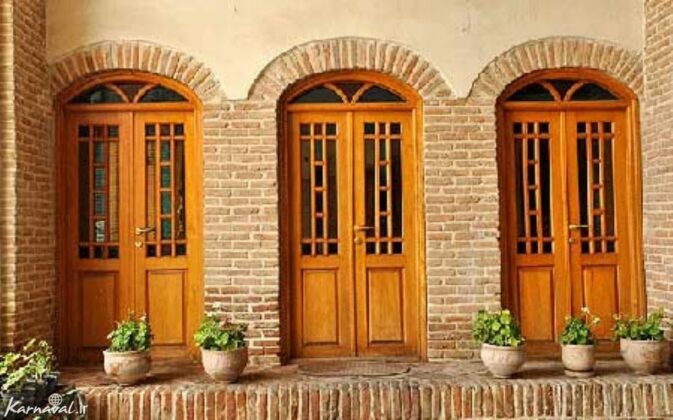 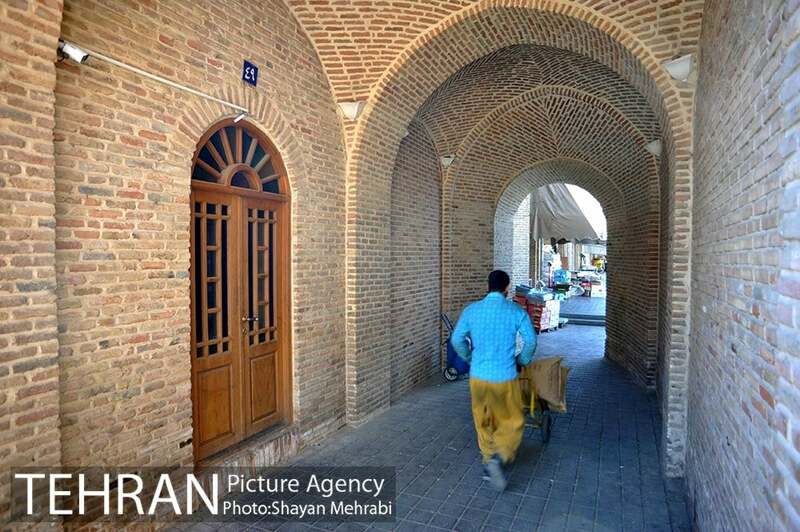 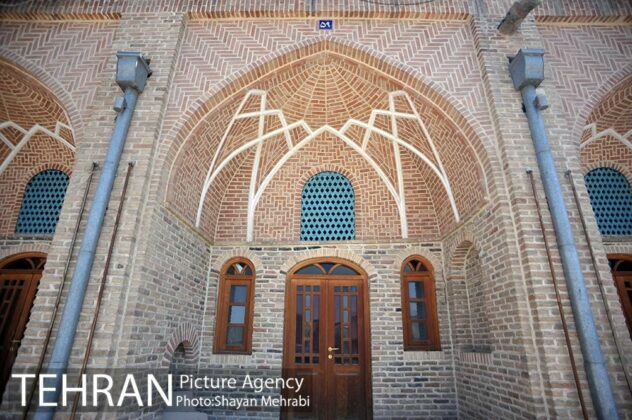 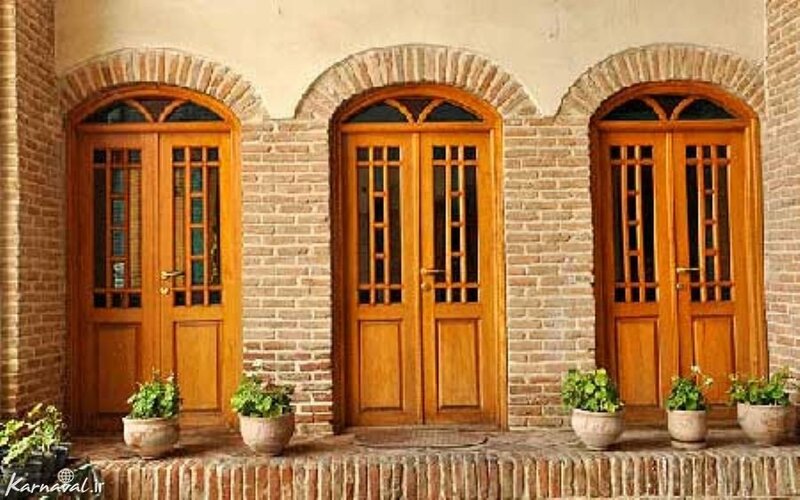 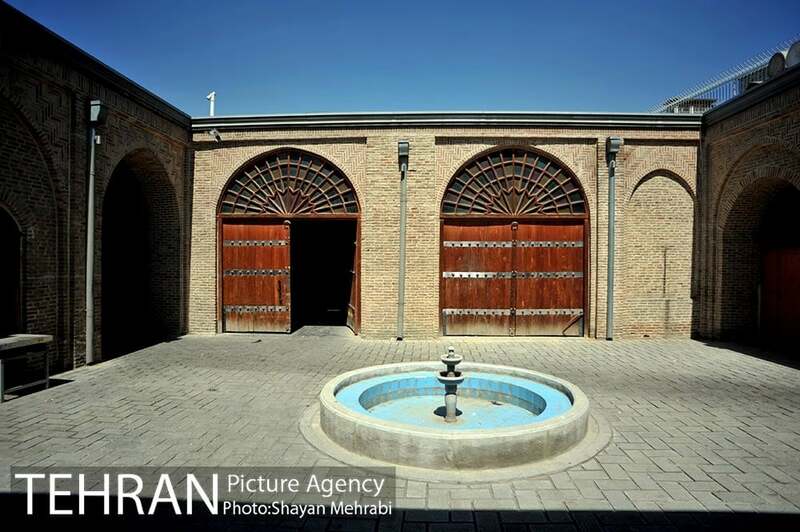 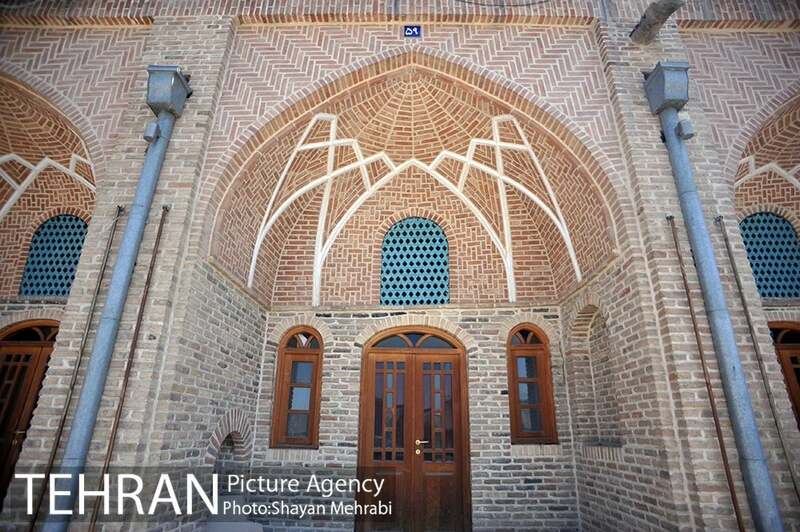 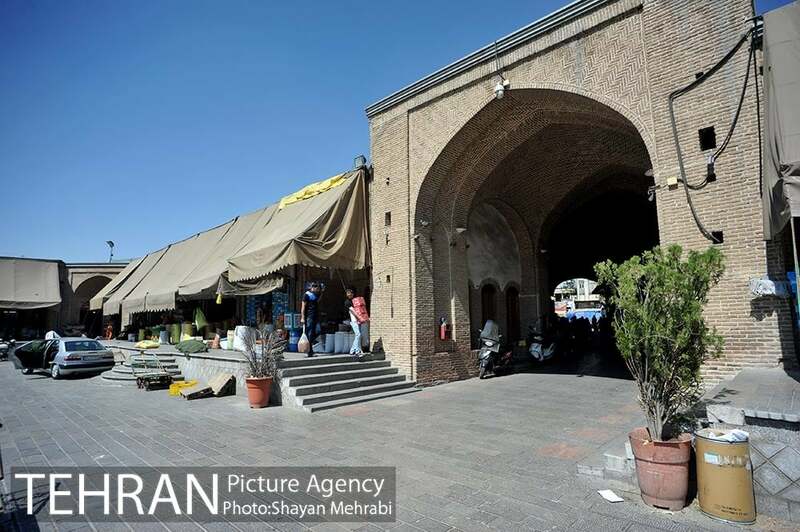 The Khanat caravanserai is one of the oldest monuments in the Iranian capital, Tehran, dating back to the Qajar era. The caravanserai used to host merchants and travelers in the past. The brick structure was constructed towards the end of the rule of the Persian King Naser al-Din Shah Qajar (16 July 1831 – 1 May 1896) by the side of a road on the outskirts of Tehran. It was built on the eastern side of the then Amin al-Soltan Square. 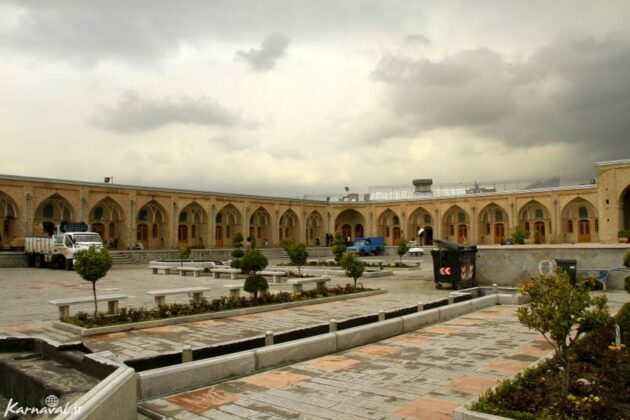 The caravanserai can be seen on a map of Tehran drawn by Najm al-Malek back in 1930. 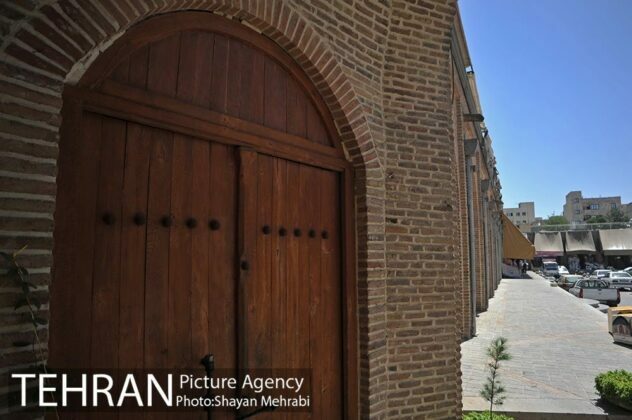 By the time the rule of Naser al-Din Shah Qajar was half way through, Tehran had been enclosed by a fence constructed by Safavid rulers in 1930. 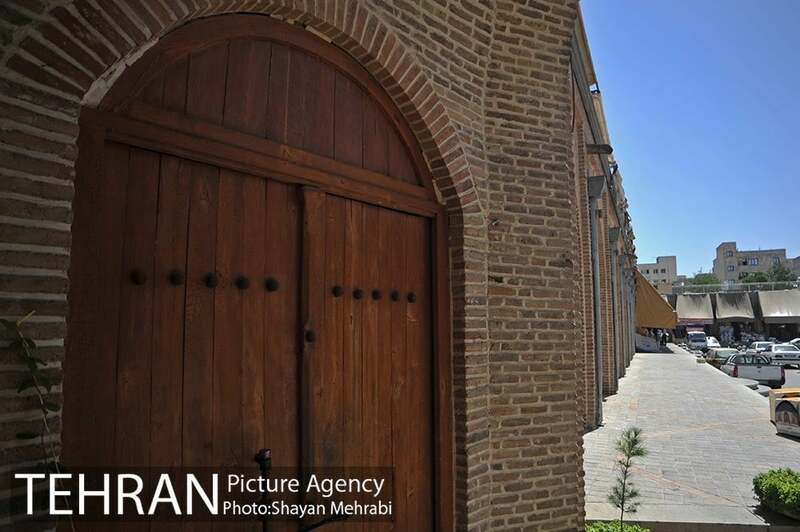 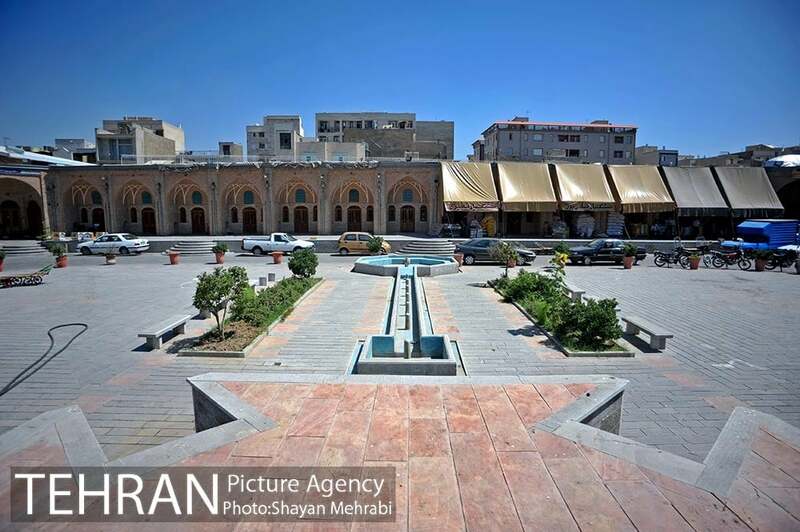 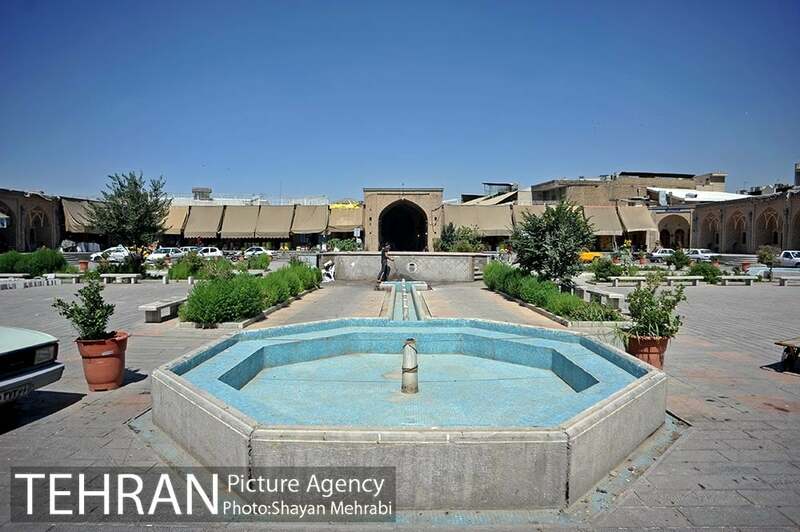 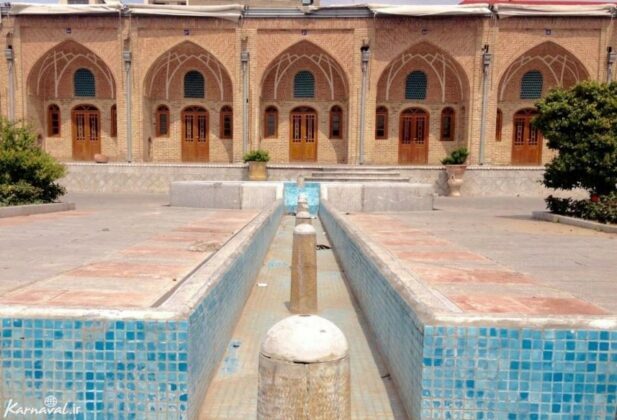 Afterwards, the fence was demolished and replaced with a new one in line with a city development plan, which saw Tehran expanded to bring the caravanserai within city limits. 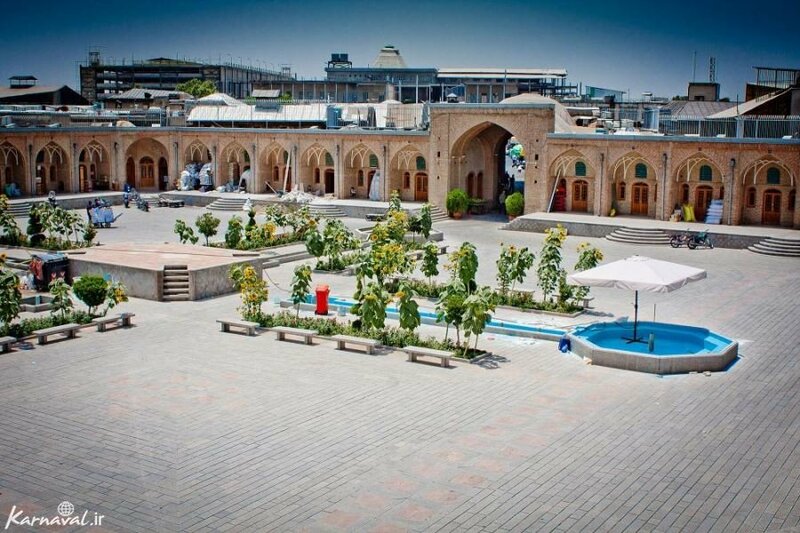 The Khanat caravanserai was the largest monument located in the old quarter of the city in central Tehran. 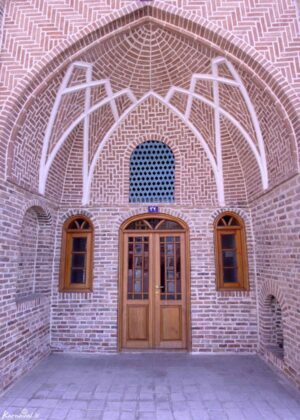 The building’s architecture is inspired by Persian gardens. 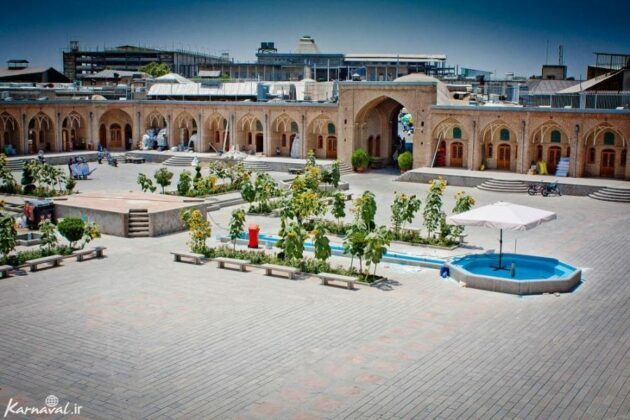 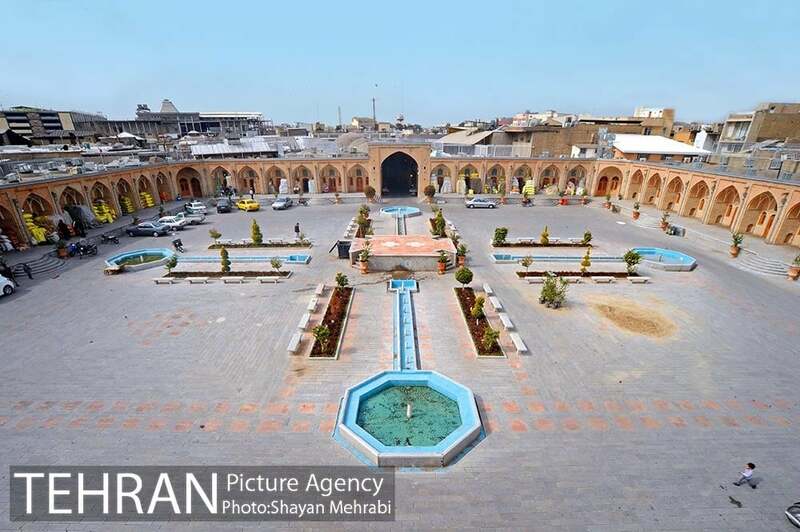 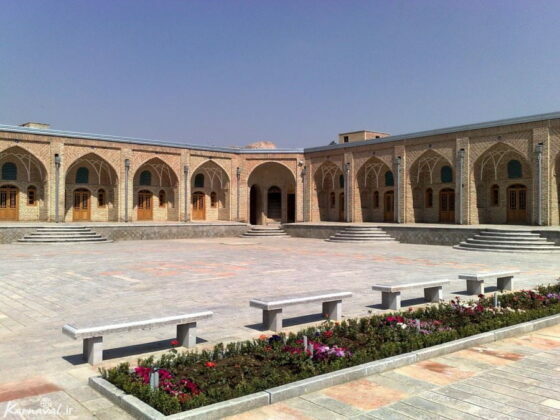 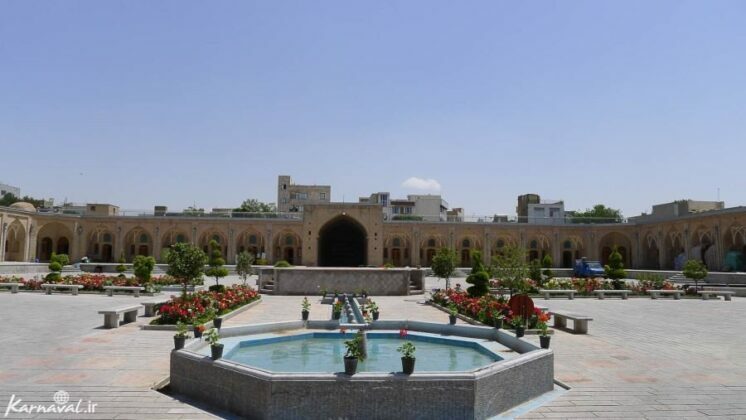 The caravanserai has a surface area of 10,000 square metres. It has a total of 52 chambers, i.e. 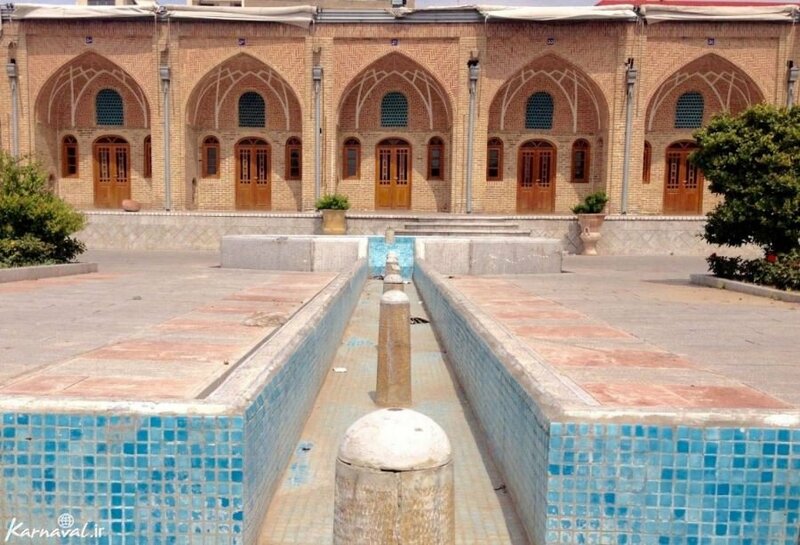 13 chambers on each side. 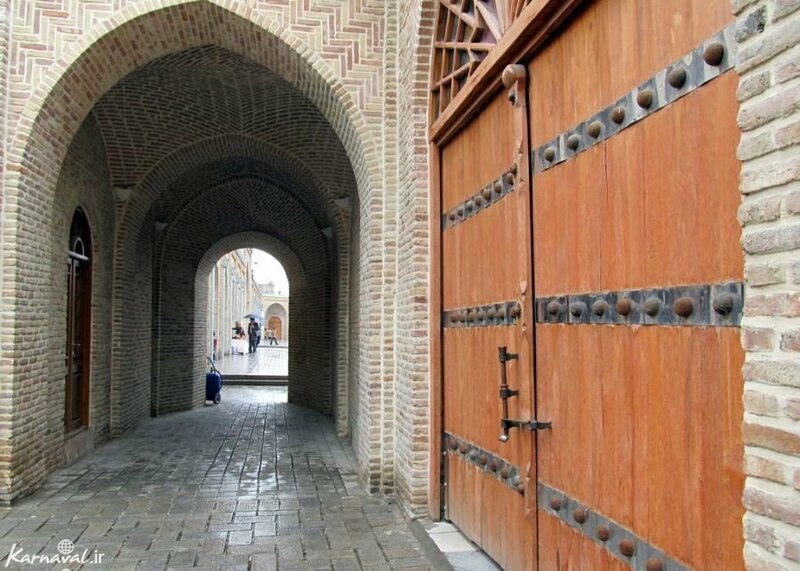 Khanat literally means “chambers,” and the reason the caravanserai is named “Khanat” is because it had a lot of chambers. 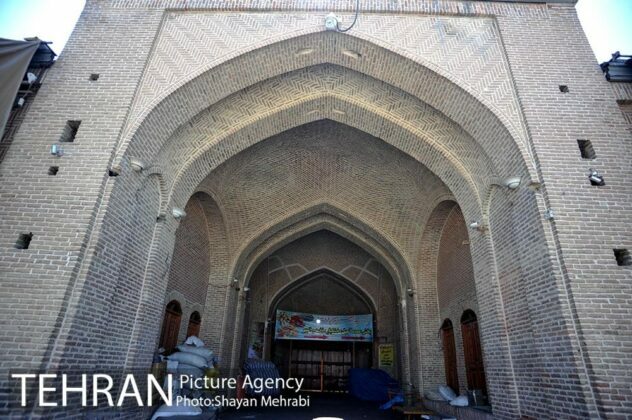 The monument was abandoned because of a blaze in 1978, and was reopened in 2010 to host Nowruz ceremonies. 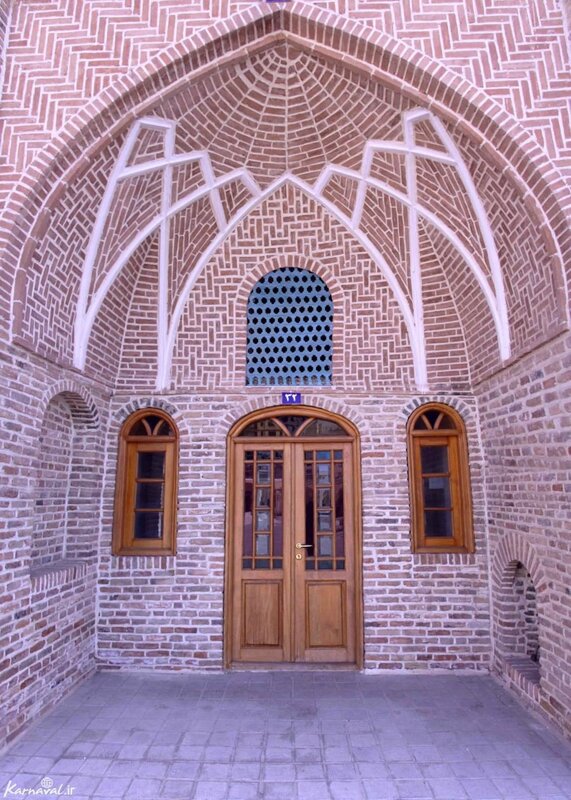 After the building was reconstructed, it turned into a traditional restaurant featuring performances such as story-telling. 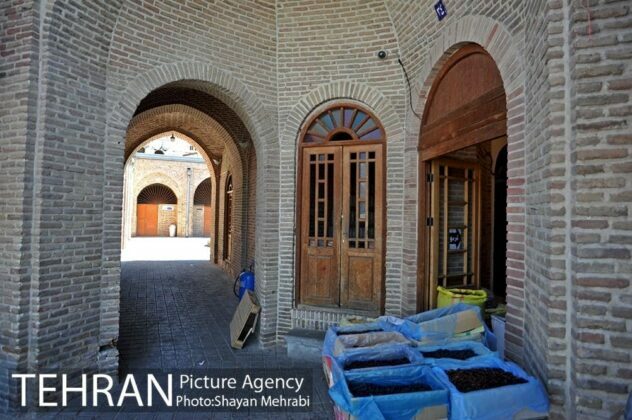 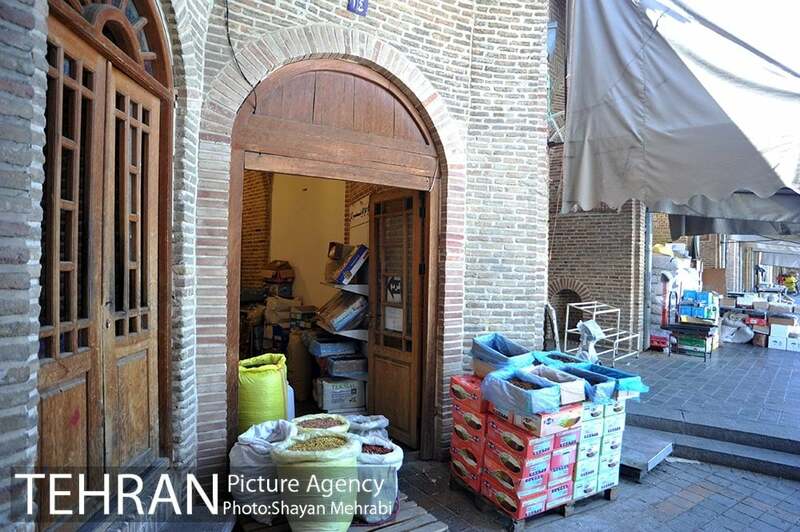 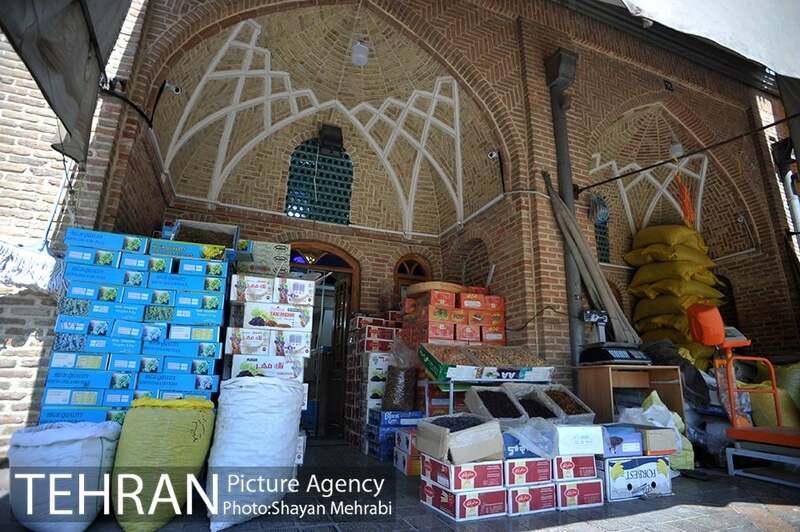 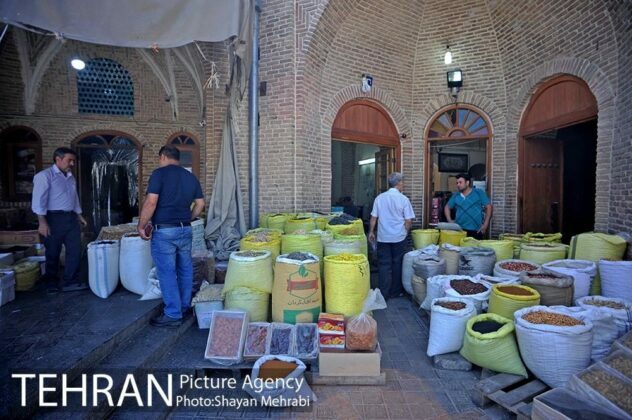 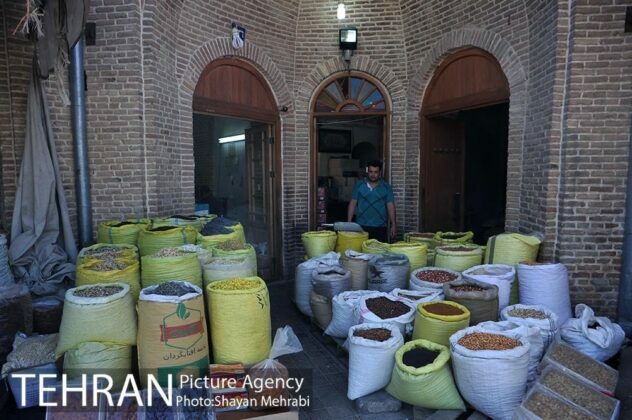 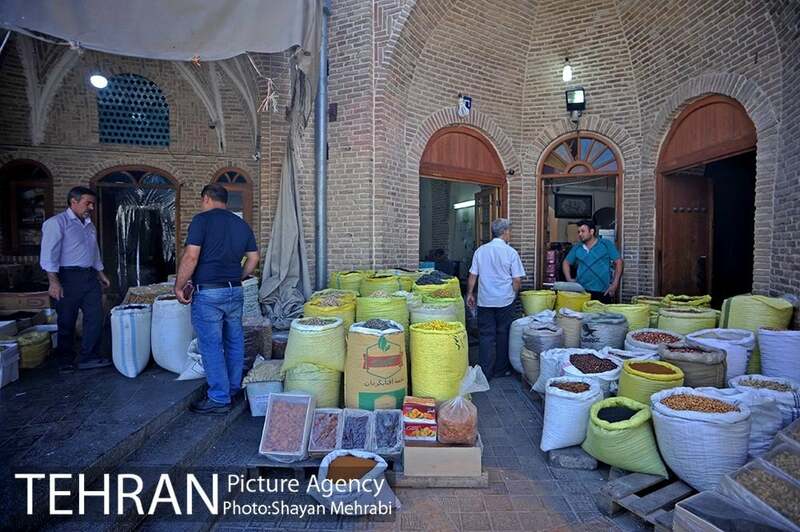 The outside of the caravanserai was converted into small shops selling pulses, medicinal herbs and spices. 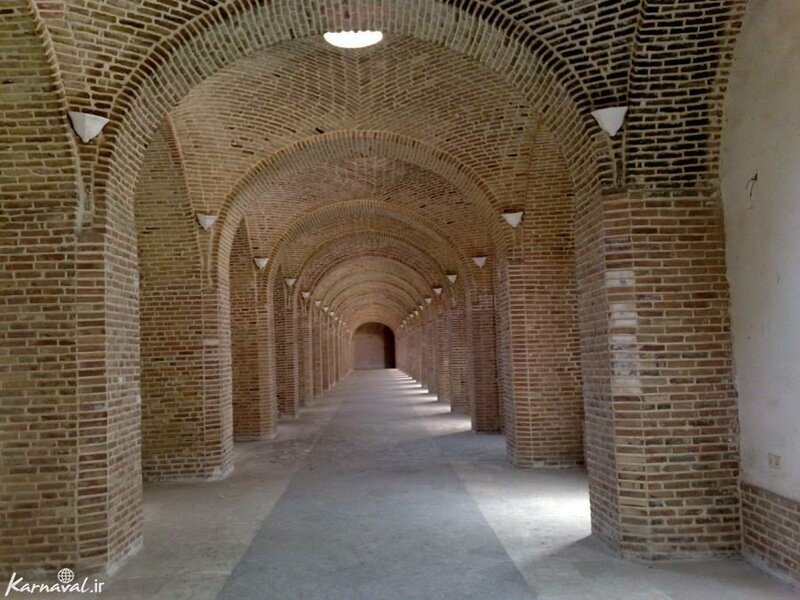 Later on, they were used as storage rooms.